Frangokastello ( Φραγκοκάστελλο ) is a small fortress that was built by the Venetians over four years from 1371. Initially, the castle was named after Saint Nikitas, but the local population, who did not like the Venetians, renamed the castle at Frangokastello, or the Franks Castle (a Catholic foreigner). The name was so good that in time the Venetians also treated it as officially in force. 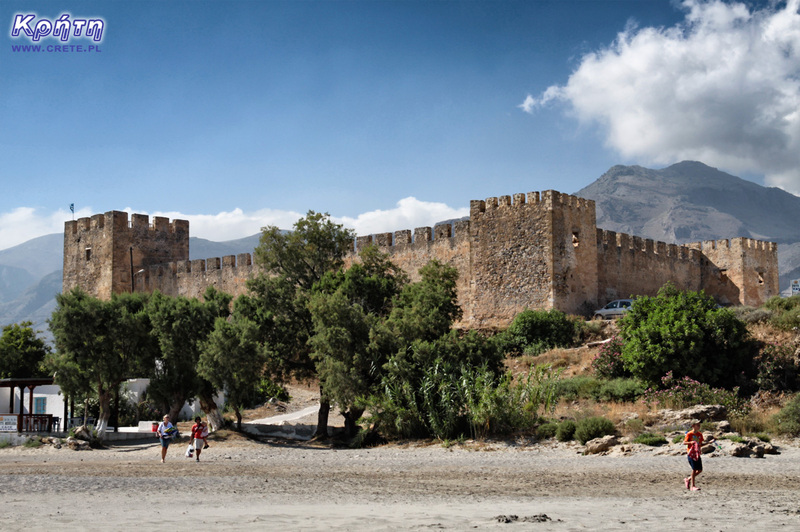 In 1828, rebels seeking to liberate Crete and Greece from the Turkish occupation took refuge in the fortress of Frangokastello. For a week they repelled the attacks of the eight-thousand Turkish army. May 18, 1828, in the fortress there was a bloody battle, which took place at the fortress of Frangokastello. The prevailing Ottoman forces finally defeated the rebels fighting for the freedom of Crete. Over 300 defenders died together with their commander, and their bodies were abandoned on the beach. Legend has it that the wind has buried them with the sand draped from the nearby dunes. According to the popular legend on a windless day on the anniversary of the battle just before dawn, Drosoulites (Greek: Δροσουλίτες) appear on the nearby dunes, that is people of dew. According to legend, these are the ghosts of Cretan insurgents who died in 1828. They resemble a suite of black-clad and armed men who from the vicinity of the monastery of St. Charalambosa go to the fortress and then towards the sea, where with the first rays of the sun disappear. This phenomenon is apparently so real that the German soldiers stationed here during World War II opened fire on the Drosoulites for fear that they were Cretan partisans. Local inhabitants talk about shadows wandering on the beach and strange lights. Scientists explain this phenomenon with a simple optical illusion, which occurs only on a windless day and with high humidity. The rays of the sun disperse in very small droplets of water, causing a mirage. Unfortunately, despite the fact that the outer walls have survived to our times in quite good condition, the interior of Frangokastello is completely empty. There are only a few incomplete walls marking the outlines of the former rooms. Until recently, access to the fortress was free, however, this situation has changed and now a low fee of 1.5 € per person is charged. Fortunately, a large parking lot, where you will find a place to leave your car, is still free. Today, thanks to the wide, sandy beach that gently slopes towards the sea, Frangokastello has become one of the many towns forming the tourist facilities of the southern coast of Crete. A large distance from the main roads, and difficult access make it difficult to talk about such a great development as in the northern part of Crete. Undoubtedly, people who are looking for a quiet holiday without any noise and hustle and bustle typical of resorts such as Malia or Platanias will appreciate it. Behind the castle is a small Byzantine church dedicated to Aghios Nikitas, whose walls are decorated with a fourteenth-century fresco. This building was erected in the city of the early Christian basilica, from which still preserved beautiful parts of the floor mosaic. Driving along the New National Road, take the exit in Vryses and then head for Hora Sfakion to the south coast. In Komitsades you have to turn left, and then drive about 10 kilometers along the coast you will find yourself at the Frangokastello fortress. People traveling from the east can also leave the New National Road at the height of Rethymnon, then heading for Armenia to the south coast of Crete. Unfortunately, this alternative route will be longer and bardbreak your neck. Fakt - opis wymaga małej aktualizacji :). Dzięki za przypomnienie o tym. Warto jeszcze wspomnieć, że w ramach "rekompensaty" za te 1,5 € otrzymujemy możliwość wejścia na górę jednej z narożnych wież. Nad Fragokastelo jest ciekawy wąwóz,byliśmy tam dzisiaj. Na koniec mieliśmy ciekawą sytuację - ponieważ spóźniliśmy się na ostatni autobus do Chora Sfakion, poszliśmy zgodnie z sugestią do tawerny - na tablicy było"ask for taxi".W tawernie było 2 klientów i prowadząca pani. Powiedziała ile kosztuje, gdy powiedzieliśmy OK pogadała chwilę z jednym z klientów i zapakowała nas do Corolli pozostawiając pustą tawernę pod opieką klientów by nam służyć za taksówkę. Oczywiście o Kallikratis słyszeliśmy jak najbardziej. Przy okazji naszego wiosennego wyjazdu znajdowało się wraz z wąwozem Asfendou na naszej rezerwowej liście atrakcji do zobaczenia. Niestety w tym roku nie starczyło czasu. Zdobywanie materiałów foto pożarło jeden dodatkowy dzień. Nic to, oba wąwozy zostaną na następne wyjazdy :). Piotr a jak tam kontuzja, jednak dajecie radę chodzić? Bardzo podoba mi się ten plan. Po drodze przejdziecie przez wiele miejsc i rejonów, które oboje z Gosia bardzo lubimy. Nawet nie wiedziałem, że można zarezerwować nocleg w Chrissoskalitisas :D, brzmi bardzo ciekawie. Jak już będziecie w tym klasztorze to wybierzcie się na plażę White Lake, jak dla mnie bardzo fajna perełka chyba wciąż jeszcze poza masową turystyką :). 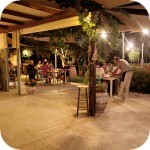 Koules is a great example of Crete's multiculturalism. Located today in Greek hands, it was built by the Venetians, but is called a name taken from the Turkish language. Koules is derived from the words of Su Kulesi, which signify the Water Tower. Through the Venetians, this building was called the sea fortress - CastelloMare or RoccaMare.